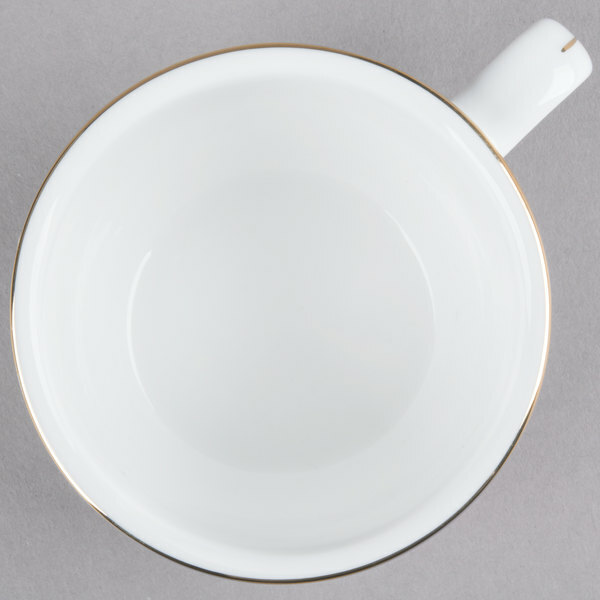 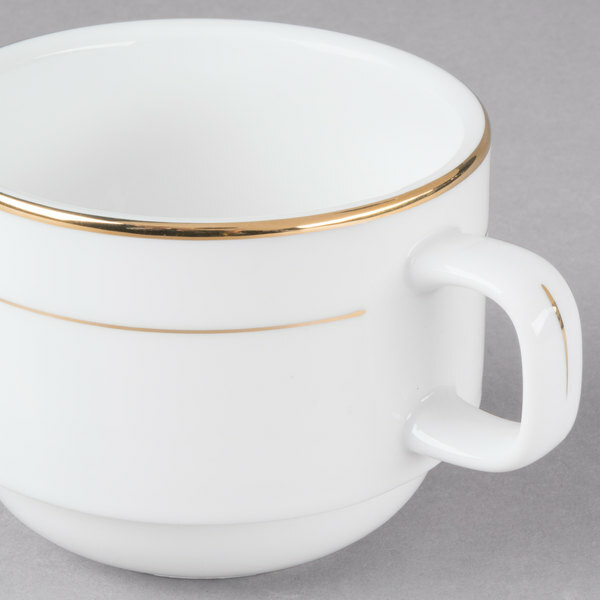 Made of bright white china with a luxurious gold trim, these CAC GRY-23 Golden Royal 8 oz. 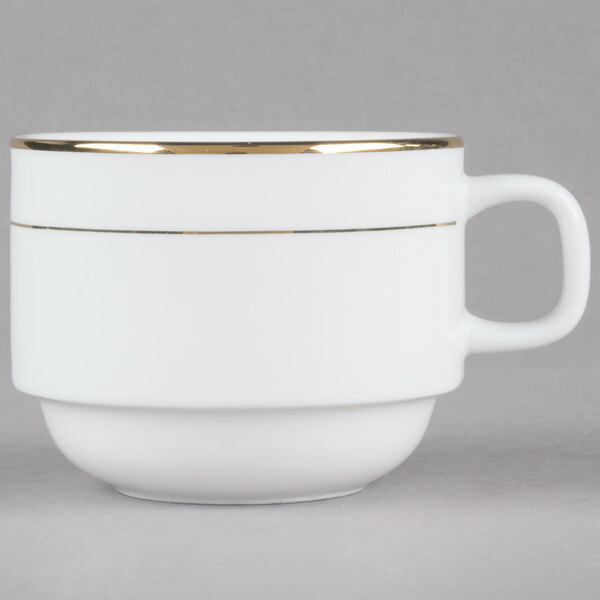 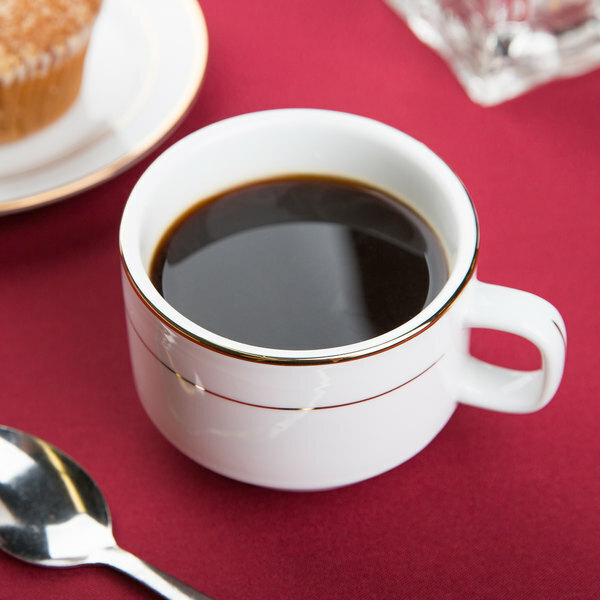 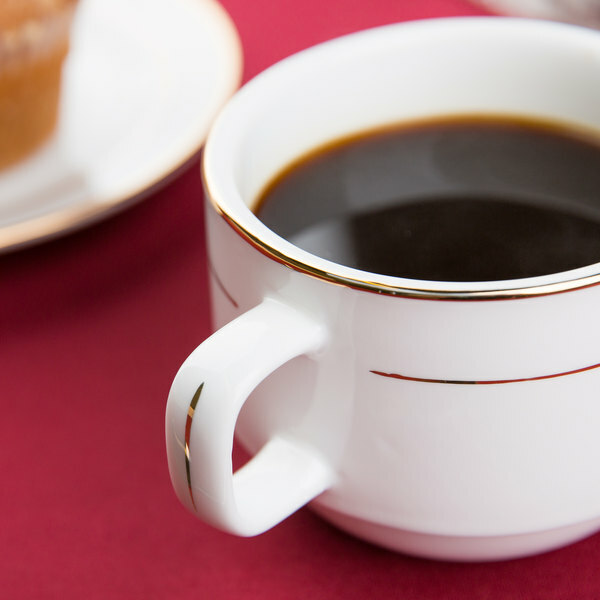 coffee cups feature a short, stout handle which makes them perfect for serving gourmet coffee, tea, cappuccino, and much more! 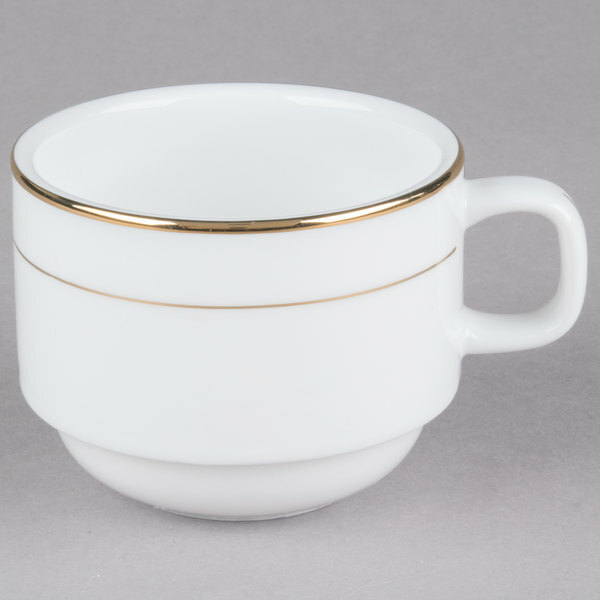 They allow you to serve your beverages in a beautiful cup that complements the delicious quality of your brews so that your customers know that when they dine with you, they're dining with the best! 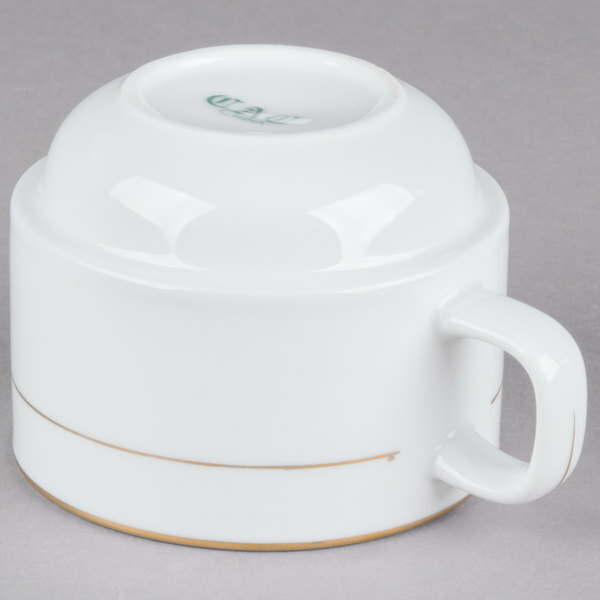 These cups include a slanted bottom that allows for convenient stacking to speed up the cleanup process and save storage space.